Sometimes you just need a good story. Donald Miller, in his book A Million Miles in a Thousand Years, defines a good story as “a character who wants something and overcomes conflict to get it”. But the character has to be likeable or who wants to read about her? And the story has to be meaningful as well. The other day one of our cats, Noel, got up on the roof and couldn’t get down, or at least she pretended she couldn’t and she’s so fat I believed her. I called out to Rose who was sitting on the couch playing a computer game, an activity she does all too often. She looked up from the screen, thought for just a moment, then came running out to where I was staring up at a round black ball of fur pathetically mewing. We tried all kinds of methods that involved step stools and tree branches and food and scratched arms and hands. “Wait until Wayne comes,” I finally told her. “He can bring his tall ladder and it will be easier.” Rose, at that time still up in a tree next to the house, looked at me with quiet determination and said, “No, this is my job.” Fortunately I had just finished Miller’s book and so didn’t argue. She needed a good story and she persisted until Noel was safely down. It is late June and I sit on my shaded front porch for some relief from the afternoon heat. I glance through the local newspaper with little interest until I see a photo on the last page of section C. A large boar, on the way to a slaughterhouse in Chicago, has escaped and an animal control officer and a truck driver are trying to recapture him. One has him by the tail, the other by a rope around the neck. “Ham on the Lam” is the title under the photo, but I am much more haunted than amused. With his mouth open in an expression of rage and agony, and his front feet lifted off the ground, the boar seems to know where he is headed and is fighting desperately for this life. And it seems wrong that the scales are so weighted against him, with ropes and trucks and slaughterhouses. 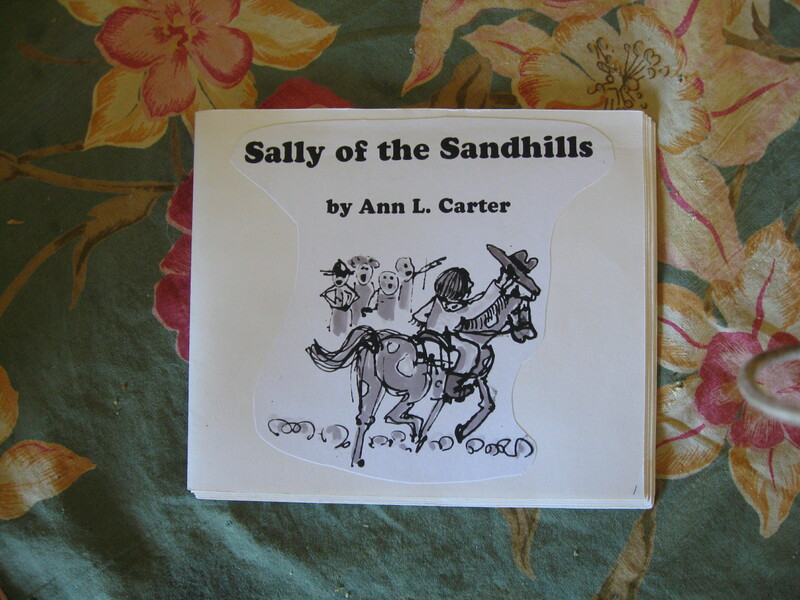 One of my favorite episodes was about a mean rancher who captured a herd of wild horses and made them stay in a crowded corral, unable to run and play. After careful planning, I snuck out one night, past Hoss’s snoring, past Pa’s bedroom, down the huge wooden stairway and out to the barn. There I saddled my trusty little pinto pony and away we rode. With the fringe on my buckskin jacket mimicking my pony’s mane and tail, it seemed that we were almost flying over the sagebrush as we headed for the evil corral and trouble. After petting and calming each wild horse, I unlatched the gate, then watched as they galloped off over the hills in the moonlight. Everything seemed so clear in those stories I made up. The ponies were my friends, the mean rancher my enemy, and in the end, courage and kindness and doing the right thing were always rewarded. I can still find comfort in the simple values of my Annie Cartwright episodes, for at 39, the black and white edges of doing good and bad fade and weave together like the different vines on my back fence. At 61, I still want to be that cowgirl, courageous and strong, riding her pinto pony across the prairie. 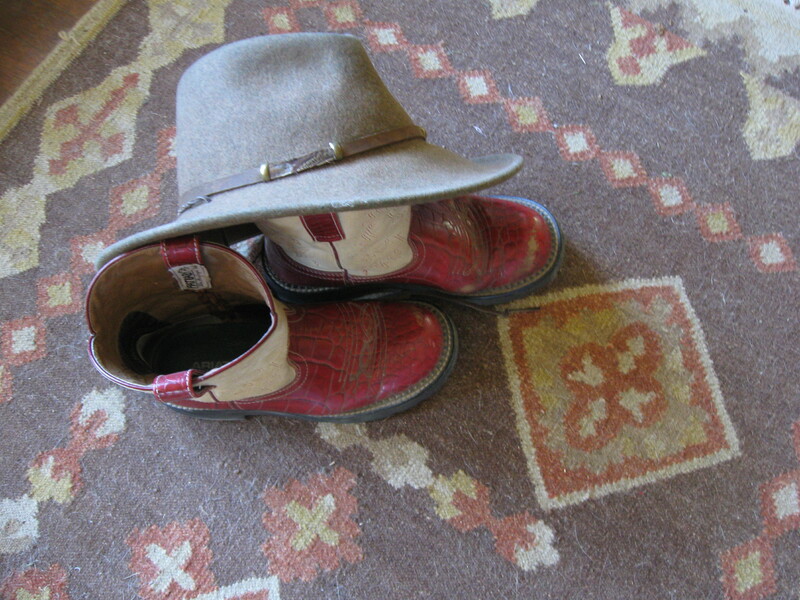 I do have a brown felt hat and red boots and I’ve written a children’s book about that little girl that I plan to publish one day (let’s hope for better luck this time). Maybe it will encourage other little girls to act on what they believe. And I’m not so sure anymore that those edges of doing good and bad are that unclear—I have begun again to see them in more distinct patterns of black and white. To my surprise, Rose never told her story about rescuing Noel. I know what Donald Miller would say. He’d say she didn’t really need to tell the story because she lived the story. And he’d say (well, he did say it and you should read his book) that a good life is like a good story. It starts with a character who wants something and has to overcome conflict to get it. It’s a life that’s not that comfortable or easy. It takes getting off the couch and moving with a purpose. And the purpose needs to be meaningful. Something like letting wild horse run free. Something like getting a cat off the roof. Something you believe to be the right thing to do. “I think as one grows older one is appallingly exposed to “wearing life” instead of living it. Habit, physical deterioration and a slower digestion of our experiences, all tend to make one look on one’s dear life as a garment, a dressing gown, a raincoat, a uniform, buttoned on with recurrent daily tasks….For myself I found one remedy, and that is to undertake ” something difficult”,something new, to rerroot myself in my own faculties. Here’s to “living a good story” to “doing” a good life!